Get 'Er Brewed Home Brew Shop! Established in April 2013 and already a market leader in home brew supplies, proud to be leading a homebrew revolution! 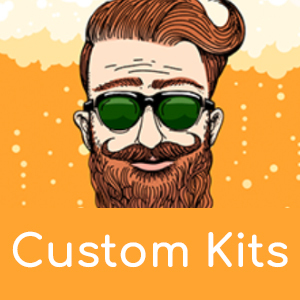 Home Brew Beer Kits, Home Brew Wine Kits, Home Brew Cider Kits and the freshest all grain brewing ingredients in the homebrew market. Innovative new products that excite & deliver allowing a whole new generation to have the pleasure of brewing their own. We don't just help you make homebrew, we help you make great beers, ciders and wines. The website stock is separate to the shop so if you are traveling a long way for a particular product please check in advance if the shop has stock to avoid disappointment.